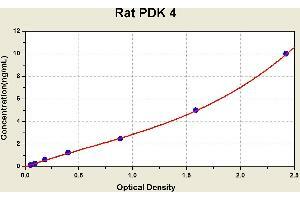 Diagramm of the ELISA kit to detect Rat PDK 4with the optical density on the x-axis and the concentration on the y-axis. 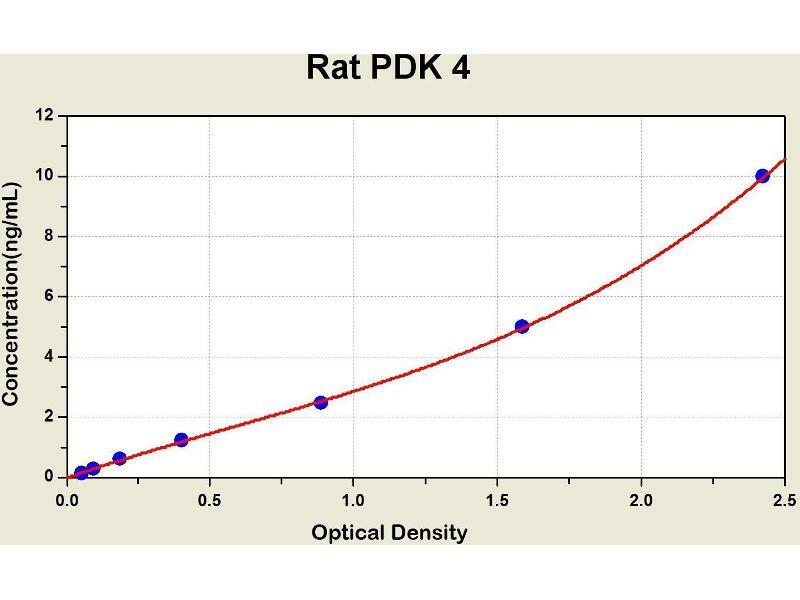 Specificity This kit recognizes natural and recombinantRatPDK 4. 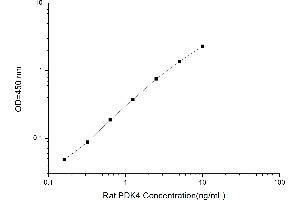 No significant cross-reactivity or interference between RatPDK 4 and analogues was observed. Note: Limited by existing techniques, cross reaction may still exist, as it is impossible for us to complete the cross-reactivity detection between RatPDK 4 and all the analogues. 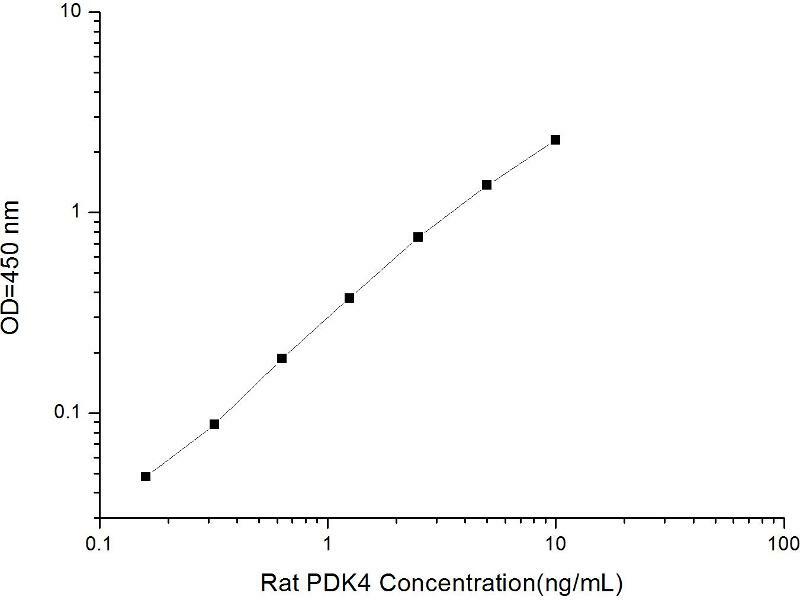 Cross-Reactivity (Details) No significant cross-reactivity or interference between rat Pyruvate Dehydrogenase Kinase Isozyme 4 and analogues was observed. 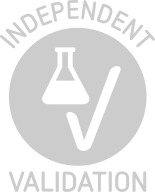 Note: Limited by current skills and knowledge, it is impossible for us to complete the cross-reactivity detection between Human bFGF and all the analogues, therefore, cross reaction may still exist.